I'm just gonna get this out of the way, although I doubt this will be the last time I mention it, I love October. Halloween decorations throughout the house, The Shining on TV, "fun" (for who?) sized chocolate bars hidden in the fridge, and best of all; cool weather creeping in. 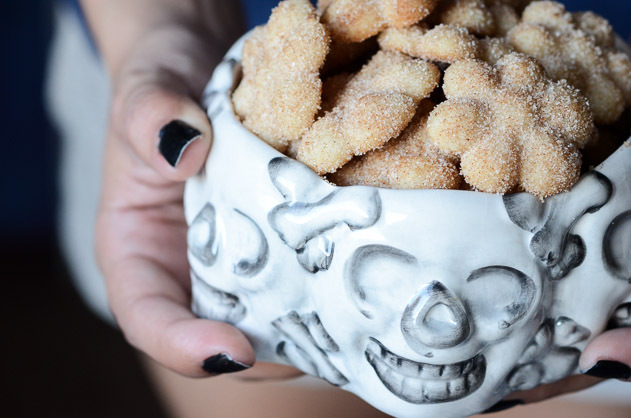 If you're into all that then you may also be into these cookies because they are perfect with a blanket and cup of coffee on the couch while watching scary movies. They also pair nicely with store bought chocolate...just saying. These cookies are "Mexican Wedding Cookies", also known as "Hojarascas" or "Pan de Polvo". A lot of people are more familiar with the mexican wedding cookie that combines butter, flour, confectioner sugar, & pecans- also known as Russian Tea Cookies, but those remind me too much of another holiday favorite of mine-the lady finger or sandie. Hojarascas are the ones I grew up on & I think they are more well known as the Mexican Wedding Cookie in South Texas. People may also refer to these as "melt in your mouth" cookies because that's exactly what they do. And with good reason- these are pretty much pie crust cookies, a lot of flour and shortening with the addition of some sugar and fresh brewed tea. Oh but the tea! This is a cookie that just keeps on giving! 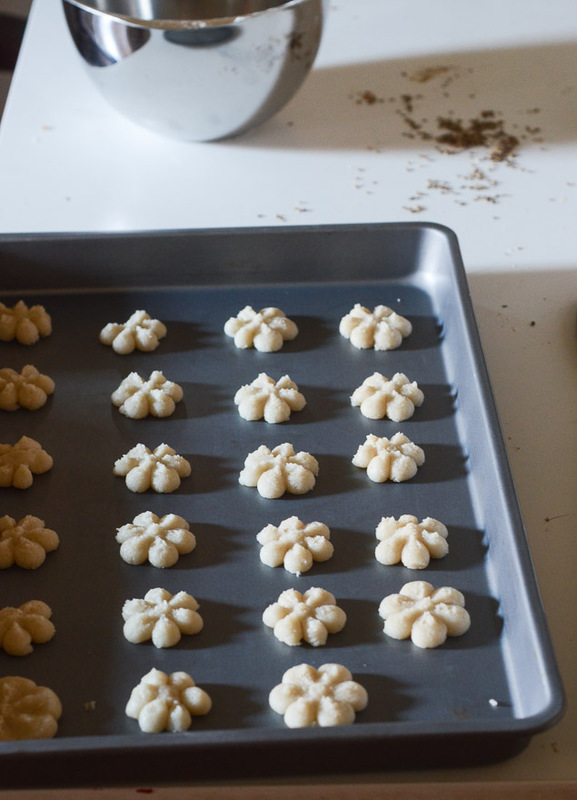 Your house will smell amazing for the rest of the day after making these. 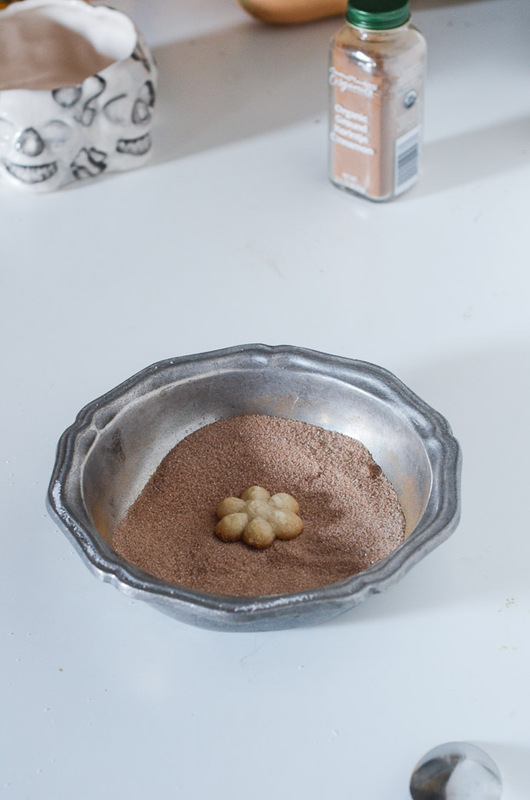 Some recipes for pan de polvo of hojarascas call for just cinnamon tea (or no tea at all) but this recipe combines anise and cinnamon to give the cookie that perfect amount of spice. My mom has made these for weddings but these are more of a holiday tradition in my family. I love adding them to my Christmas Cookie Boxes. The original recipe calls for a full 5lb bag of flour but I've successfully been able to cut the recipe by a third. You'll still get a good amount of cookies! On that **NOTE.... Each time I've made these I measure out 5 cups flour, but I only use about 4 - 41/4 cup. 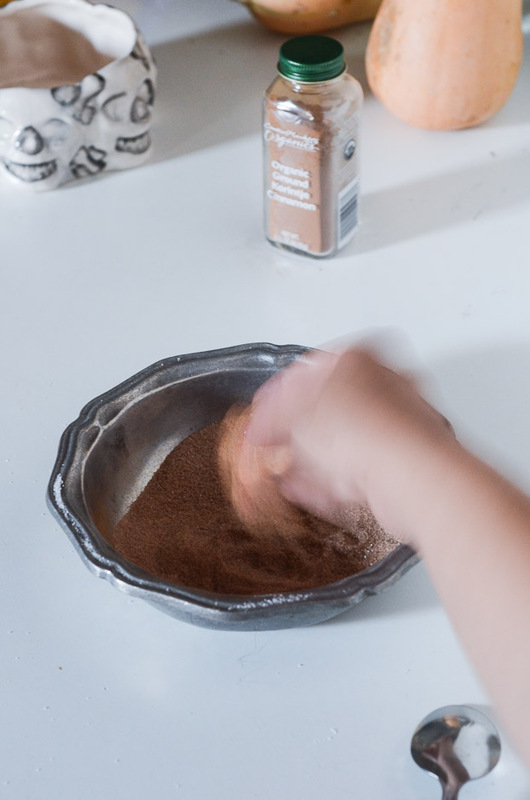 You want the cookies to be almost like pie crust-adding enough flour so that it doesn't stick to your hands and it starts to pull away from the bowl. Just add the flour 1 tbsp at a time when you're getting close. This recipe has been passed down to me. I hope you enjoy it as much as my family & friends do! 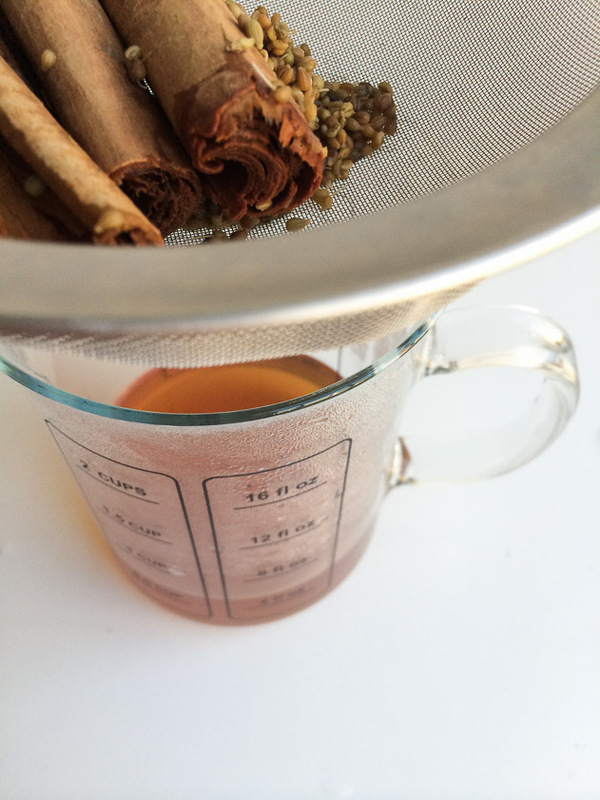 To make tea: boil 1 1/4 cup water, add cinnamon and anise. Bring to a simmer and leave for about 10 minutes. Preheat oven to 350. Beat sugar and shortening together. 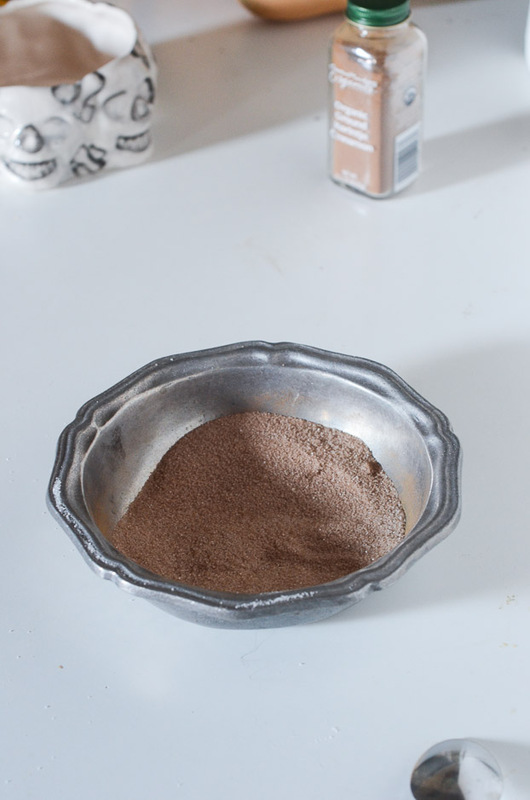 Add flour and warm tea to the mix, alternating, starting and ending with flour- adding just enough flour that the mix starts to pull away from the bowl. Add cookies to an ungreased cookie sheet using a cookie press. If you don't have a cookie press, just snip little 1/2 inch balls. Bake for 12-13 minutes or until they begin to lightly brown on the bottom and edges. 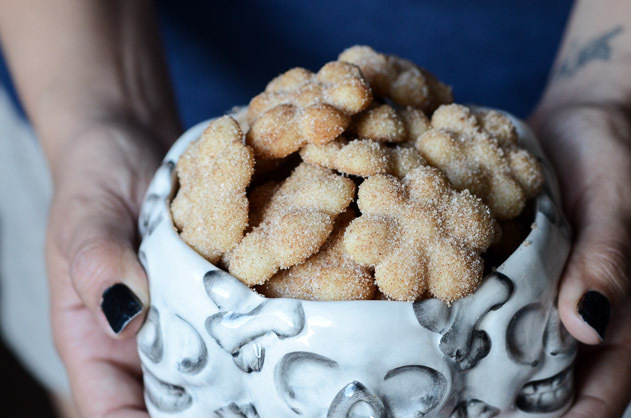 Toss warm cookies in a cinnamon/sugar mix. Store in a sealed container and enjoy for the next week or share with friends. 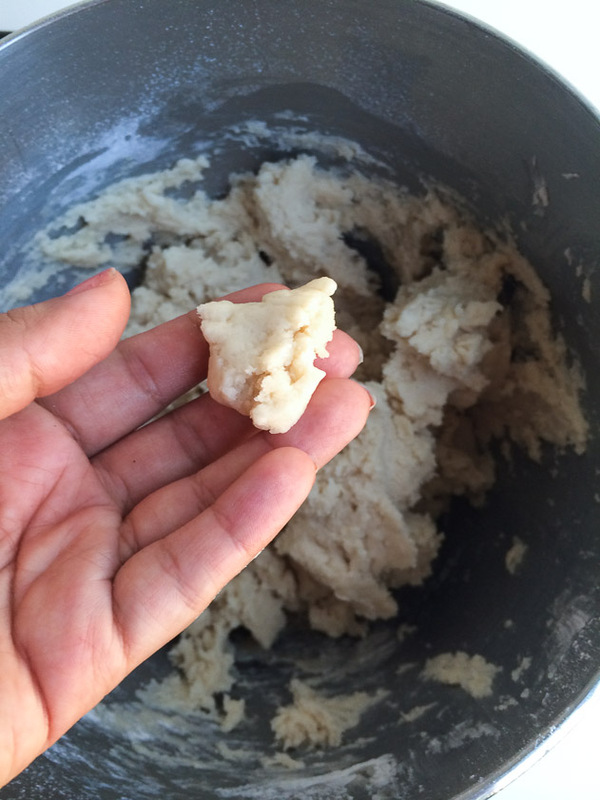 There ain't nothing wrong with pie crust cookies! I feel like these have to be made in smaller portions because big cookies would melt too much? You know what... my grandma has always made these cookies small and my mom has been making these with her avocado green cookie press for as long as I could remember, that I just never thought the size may be necessary because of the amount of shortening, but that makes sense! I have eaten some larger versions of this cookie but I prefer the "melt in your mouth" quality that comes with the smaller. Okay 1) your christmas cookie boxes look INSANE. 2) these look SO SO GOOD. I had no idea about the difference between different types of mexican wedding cookies! I bet I'd love these because sometimes I feel like sandies could do without the pecans. Your cookie-making skills are seriously wondrous! I learned how to make them last year from my aunt's. I only found the ingredients then found your site that resembled what i remembered. The only thing is I remember one aunt saying to use the anise and one sid not to. I wonder what the difference in taste is. 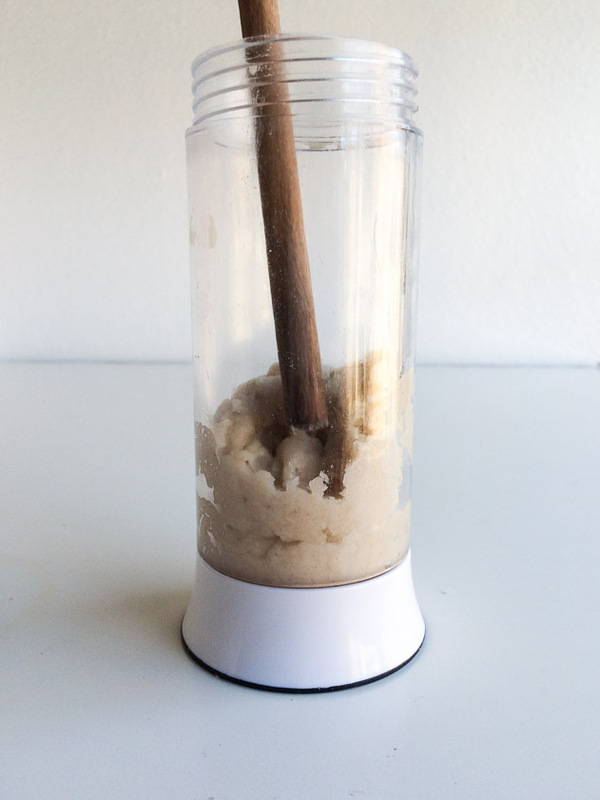 Also when making the cinnamon/sugar mix we gound the cinnamon sticks and sugar in the blender. I love the texture. They are wonderful cookies. Thanks so much for posting. I have always made hojarascas at Christmas. Since becoming vegan I need to change my recipe. Playing with the idea of using coconut shortening. I may use vegetable shortening. My traditional recipe USES LARD! After baking the cookies i noticed the sugar would not stay on the warm cookies. What coukdi do to repair the situation on the remaining dough? Cecilia- I'm sorry to hear this... as long as I toss the cookies before they completely cool, I don't have any problems with the sugar staying on... But since that's what you're doing... I honestly don't know. Are you using fine sugar as opposed to some of the more coarse cane sugar varieties? I'm going to do some Google research & I'll comment back if I find an answer to your problem. I usually let the cookies sit on the baking sheet for a couple minutes before transferring them to the sugar and cinnamon mixture. This step helps prevent the cookies from breaking. I then toss them a second time before placing them on the counter to cool completely. This isn't the exact recipe that I normally make but it is much better than the other ones that use powdered sugar! !